This is the last of adaptations of the Genesis line where the radius curve of the top is also used for the sides. 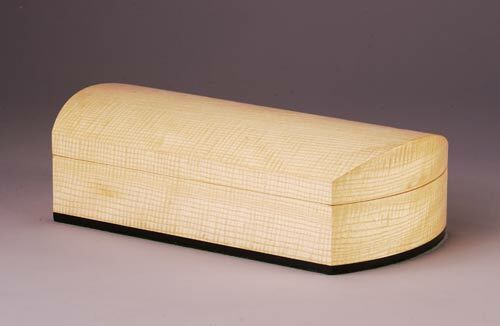 This edition has Curly White Ash on the exterior and is plain White Ash inside. The sliding tray is Curly Maple with a Macassar Ebony bottom.